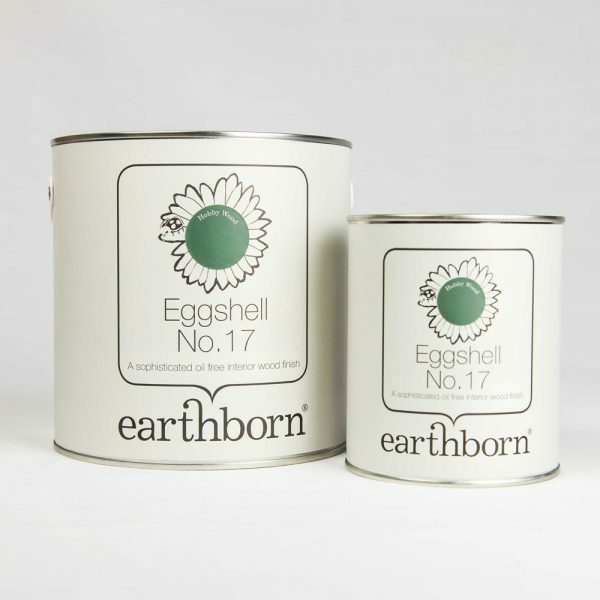 Earthborn Eggshell No.17 is a durable, washable and scuff resistant environmentally friendly paint suitable for interior woodwork. Earthborn Eggshell No.17 is suitable for use on interior wood, such as doors, window frames, furniture, shelving, skirting boards and other smooth planed wood (not recommended for floors or other heavy-duty surfaces). View the No.17 Classic Colour Range. Prepare wood surfaces with Earthborn Multi Purpose Primer and lightly sand prior to application. For best results apply two coats of undiluted Eggshell No.17. Apply by brush, roller or spray gun. Touch-dry in 1-2 hours. Allow 6-12 hours between coats.